Just imagine a clear vision of your beautiful garden from your garage even when the garage door is not open. Just feel the warmth of the golden sunlight on a beautiful morning inside your garage even with the garage door closed. Is it really possible? Yes, with the upcoming technologies, you can have a transparent garage door with a complete vision of the beautiful world outside. We at Repair Garage Door, Rowland Heights, offer you this innovative solution to make your dream come true. The fully transparent glass garage doors can be installed with remote controlled automatic garage door operating system for further convenience. We provide customer support and service in Rowland Heights and its neighbouring areas. Our International Door Association (IDA) certified technical experts provide you with the best service available in the sector of garage door installation and maintenance complying with the international standards. Our years of experience and customer satisfaction have helped us earn an impeccable reputation in the field of garage door business all over the US. Rowland Heights is situated in the San Gabriel valley in California. When installing a new garage door, it is always of the utmost importance that you work with professionals who can definitely do this in a safe and reliable way. Our company has gathered a team of professionals and you can have access to our services by simply calling us and booking our contractors. They will come to your house within the shortest time possible, check out your garage door issue and fix it rapidly, affordably and reliably too. Give us a call today and allow us to be the ones who help you get a garage door that is functional and safe! The glass garage doors allow the passage of sunlight and warmth into the garage making it a wonderful experience. This results in cutting down the costs on garage heating during cooler parts of the year. Frosted or tinted glass may be used in the glass garage doors to create specific effects to match the external decor of the property. Glass garage door designing involves precise manufacturing and installation skills with loads of experience. Our technical team is equipped with the required expertise and experience to undertake such tasks with accuracy and performing them up to your complete satisfaction. With the new installation of a glass garage door, we offer a bundle of free services to our esteemed customers including powerful upgrades of highly resilient nylon rollers, cycle springs,safety brackets to resist any damage to the garage door in case of garage opener failure as well as air locking system. Our extensive range of services for garage doors comprises off track fixing, repairs, installation, spring replacement, repair of automatic opener and scheduled maintenance. Our glass garage doors satisfying the best quality parameters in the country are loaded with exclusive features like a lifetime warranty against manufacturing defects and rust for your full satisfaction. We represent glass garage door brands of international repute such as Amarr Heritage Collection, Door tech Industries and Jeldwen Composite Doors. 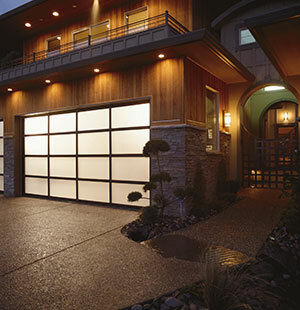 The glass garage doors are custom manufactured suiting your preference, requirement and house decor. Please give us a call on 626-538-9185 to allow us to introduce our services on glass garage door installation, repair and maintenance.